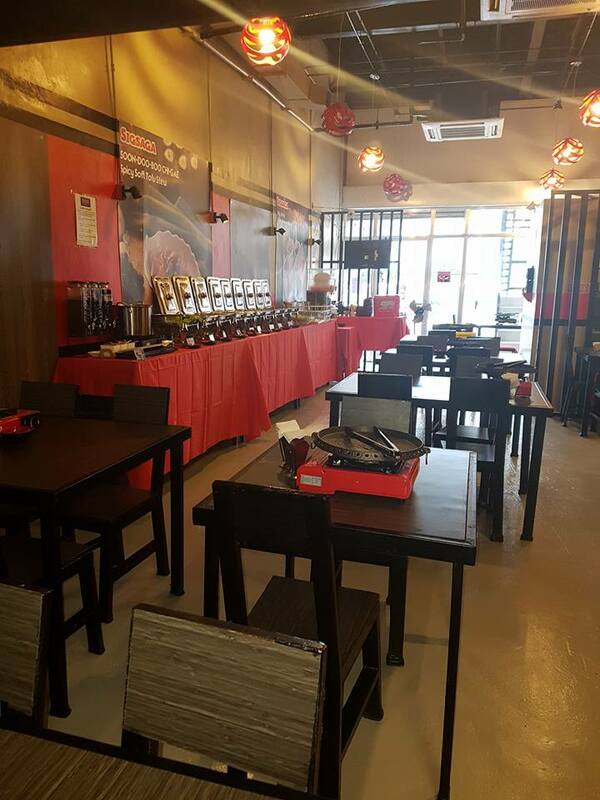 Waiting for the payday just to get your hands on a Yakiniku Buffet? Wait no more! 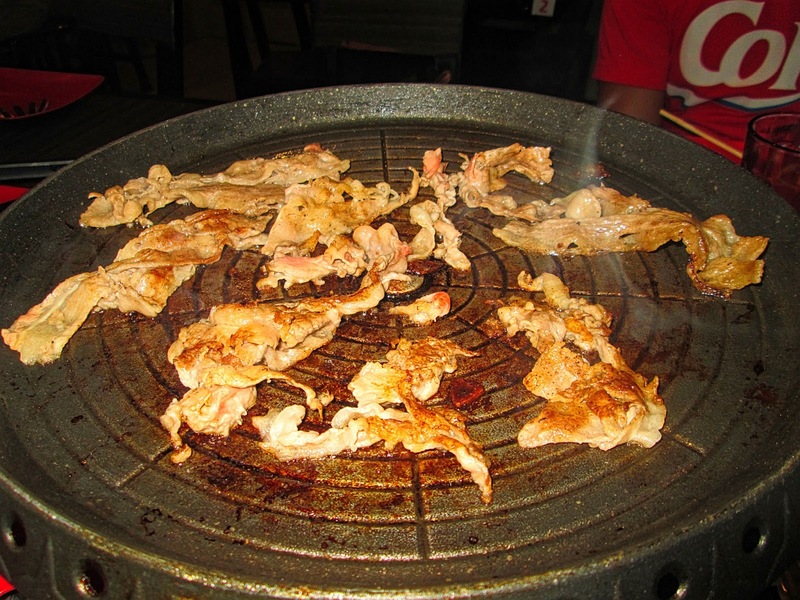 Eat-all-you-can Beef and Pork Yakiniku is now easy on the pocket. 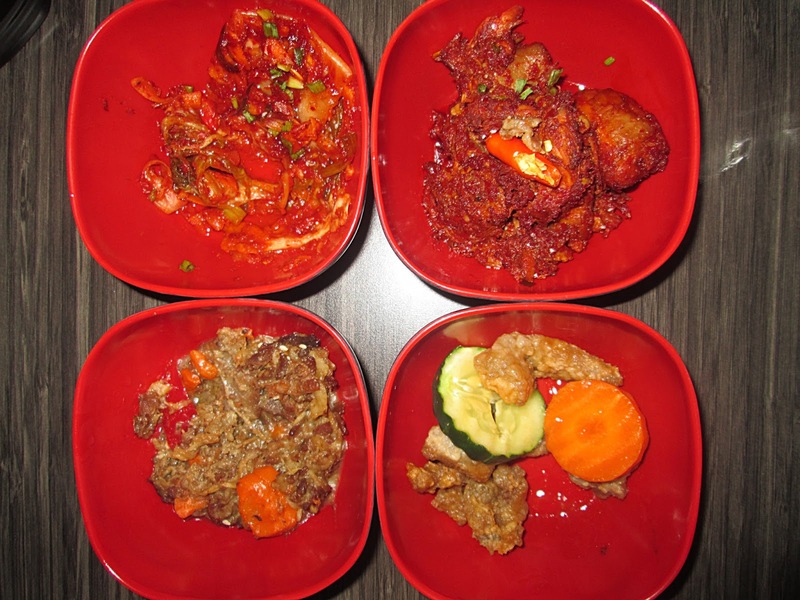 Korean dishes is also included and available for your hungry tummy. 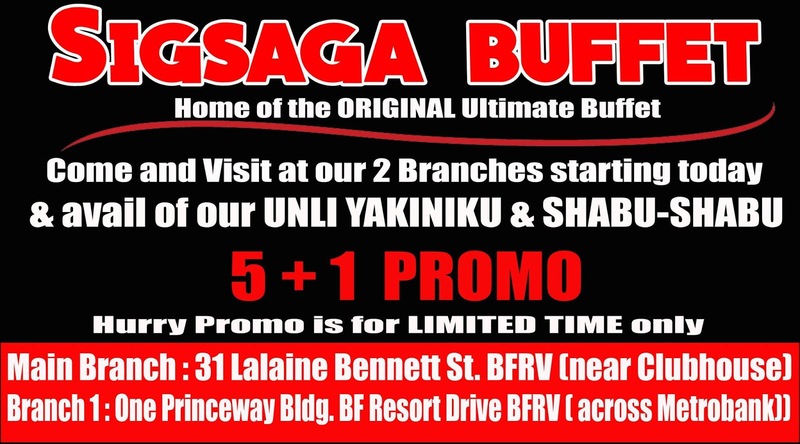 I am from the North but I was eager to try and see what this buffet is all about. Food quality comes first before anything else so I made sure I tasted everything they had to offer. 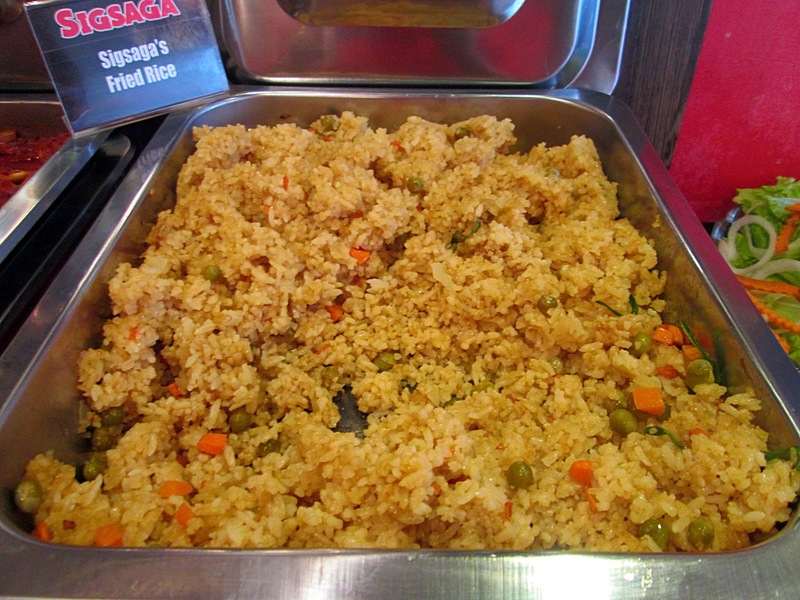 Fried rice makes it more special, with all those Carrots and Green beans adding to the taste. Nothing is ordinary in this place. 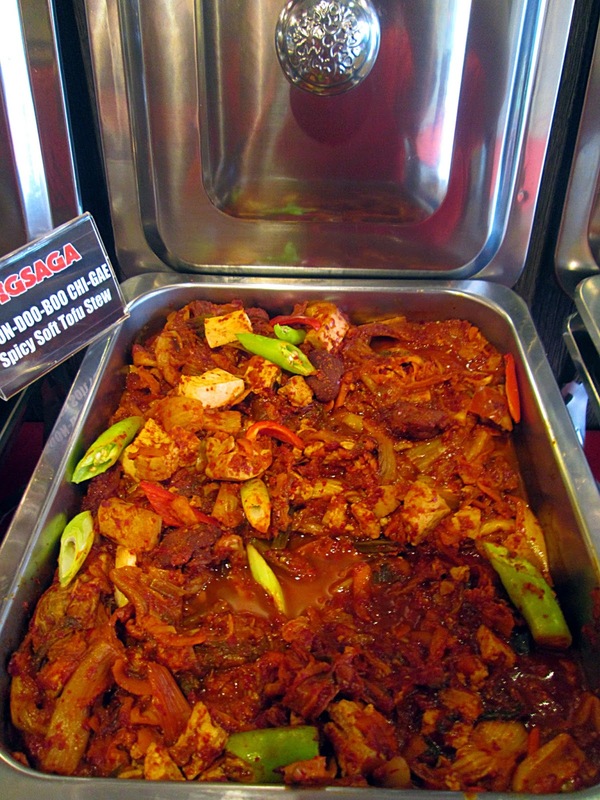 Korean food seems to be synonymous with spicy food. Spicy Soft Tofu stew is not just hot, it is also filling, comforting and delicious. 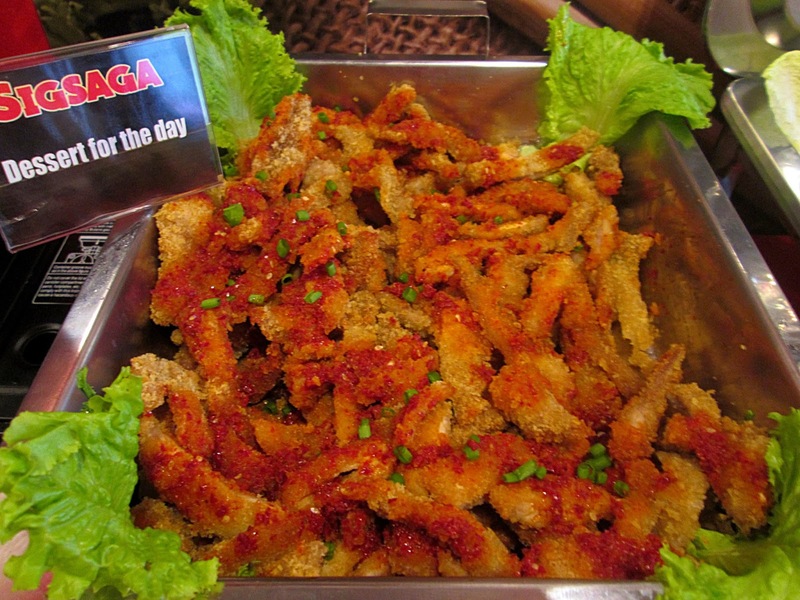 No wonder it is one of the most popular items in Korean restos. Their Bulgogi is awesome! 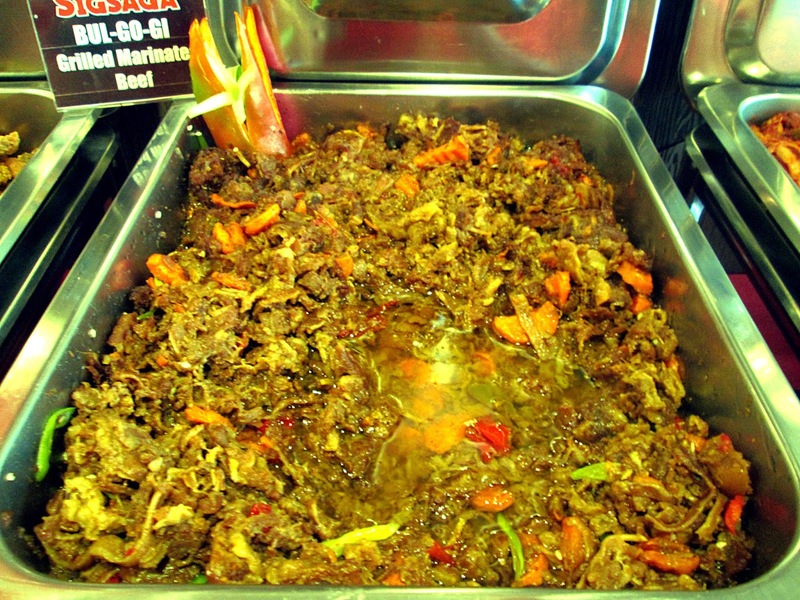 Shredded, soft, tender, juicy, and marinated meat best served on a leaf of Lettuce with some spicy vegetables on top. A great Lettuce taco indeed. They maintain their food hot making it more appetizing. 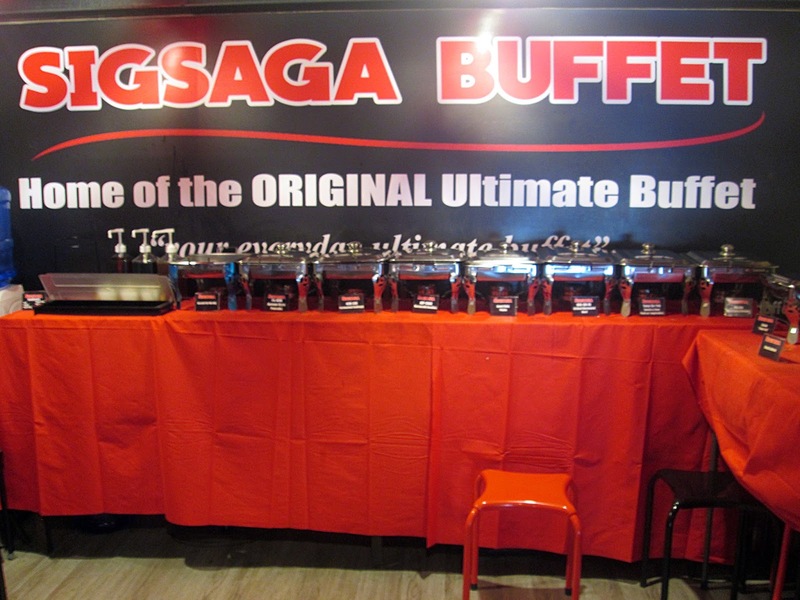 This buffet gives you more than your money's worth. For the Tangsuyuk or sweet and sour Pork, I was expecting Pineapple in the ingredients since I am used to eating that dish with it. 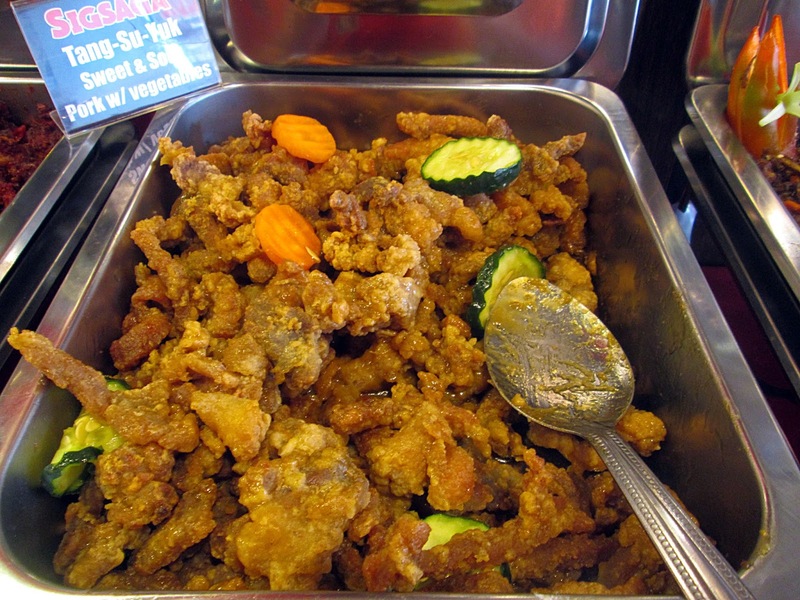 It had super-crispy crunchy fried pork coated in a jelly-like sweet and sour sauce filled with colorful vegetables. 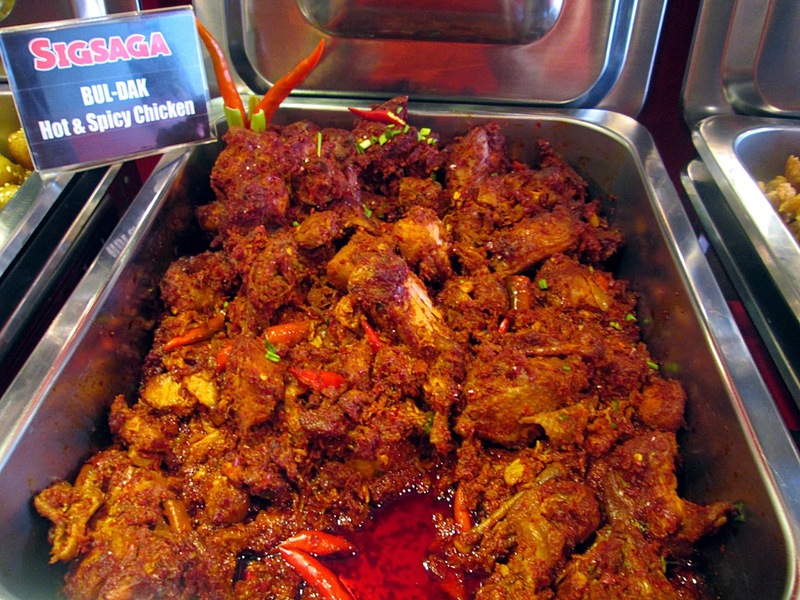 Pinoys love Chicken and the Korean style Bul-dak or Hot and spicy Chicken is no exception. Spicy food increases satiety, helping you to feel full while eating less, and hot peppers may even help your body to burn more calories. That's more reason for me to indulge in it. Sesame seeds add a crunchy, nutty flavor. 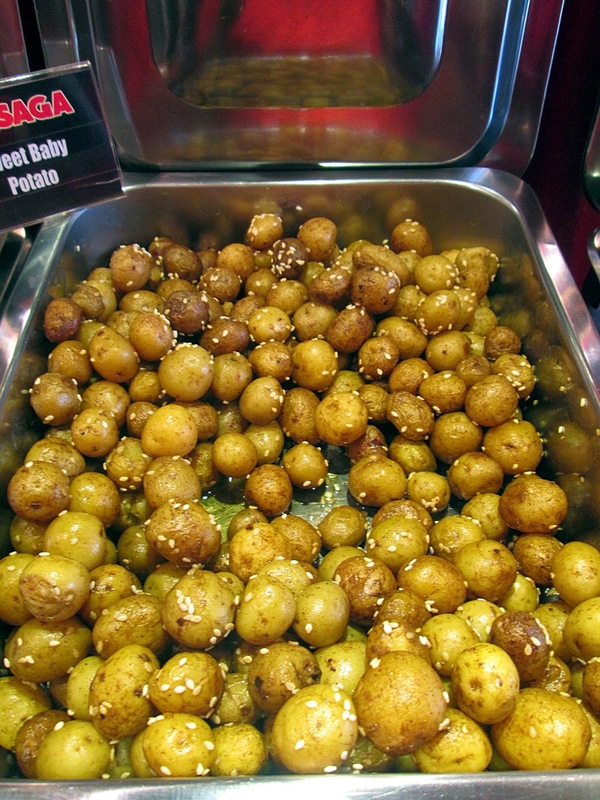 These baby Potatoes goes nicely with BBQ making it perfect for Yakiniku. In fact, it goes well with just about anything! 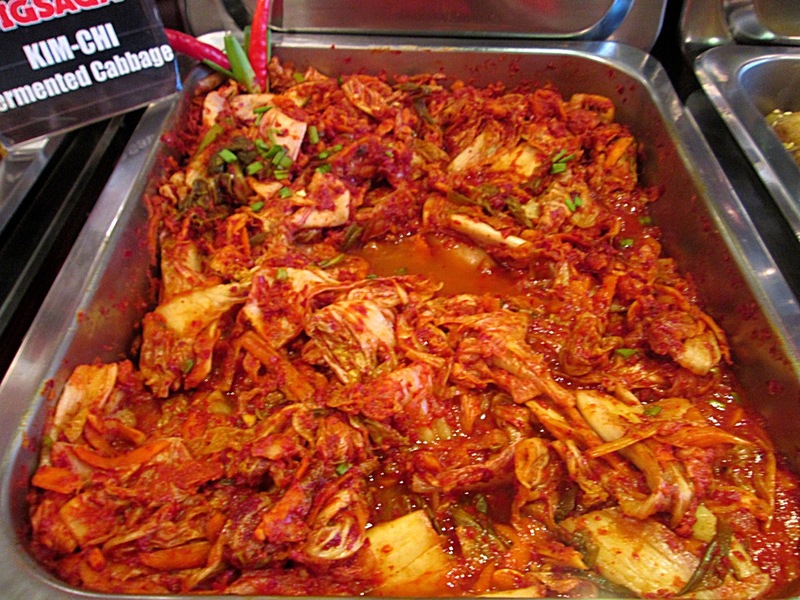 Korean dishes will never be complete without Kim-chi. They actually make their own. It has the right spicyness, has a fermented taste, it is full of flavor and is great as a side dish. I am not a fan of noodles. 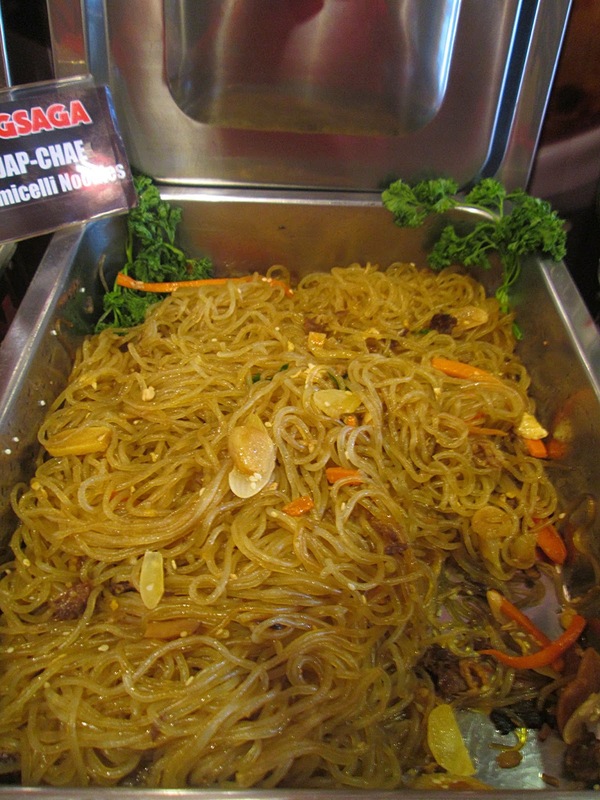 This Jap-chae is not bad at all but I decided to taste more of the other dishes. My friends love it, though. 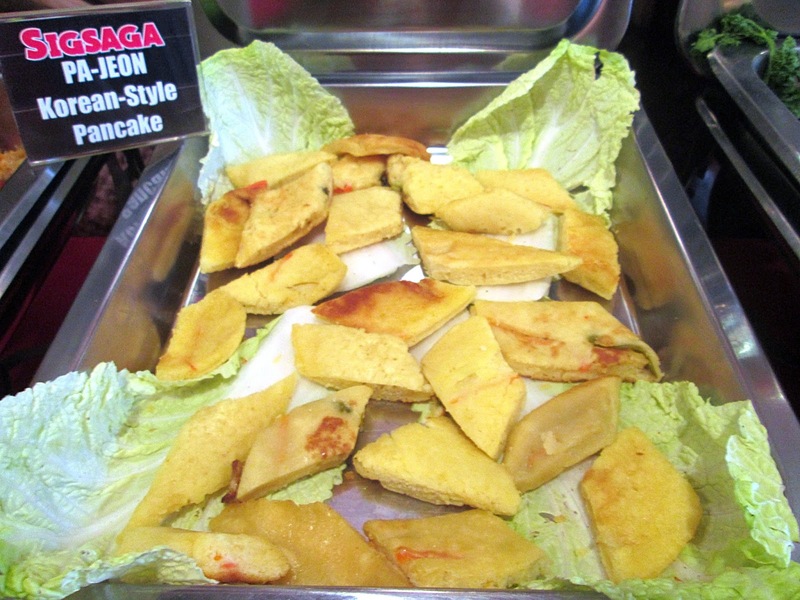 Pa-jeon or Korean-style pancake is a bit sweet, does not need syrup and is simply addicting. Pa-jeon has Scallions which are savoury Green Onions and that makes all the difference. I found myself getting one piece after another. Unlike our pancakes, their version can be eaten at all meals as side dishes or as snacks. Totally rocks! 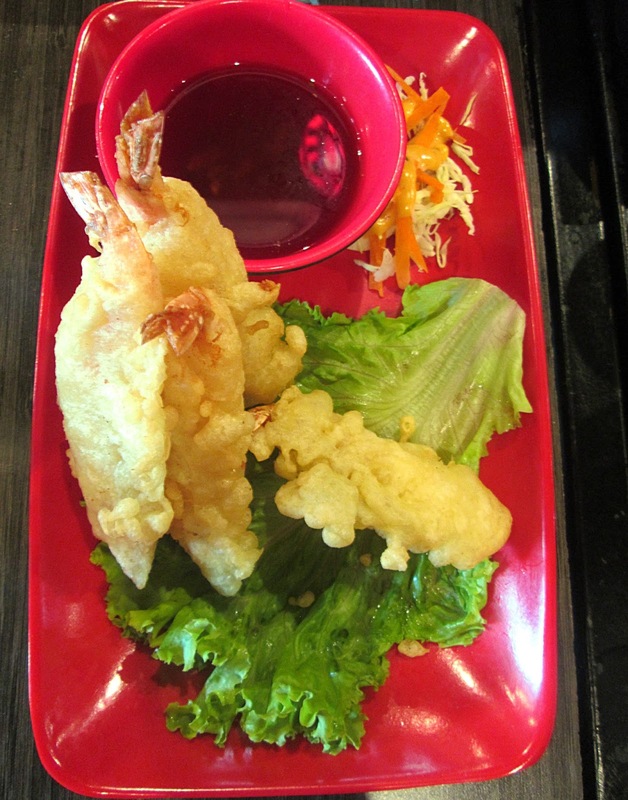 Since Sashimi is not included in the buffet, I devoured on my next favorite Japanese food which is the Tempura. It is not overcooked and the vegetables that came with it are fresh. The taste of the shrimp and breading complements the sauce. And for P129 you get to have 6 pieces of it with refillable drinks as well. The attendants were all smiling and responsive. They ask for what we need every now and then. I never have to ask for my Red iced tea refill or for my next Pork and Beef serving. Even the owners were there to make sure everyone was happy. The second floor is dedicated for special occasions. It can fit up to 20 persons. Everything's available here and there's no reason to go downstairs to get what you need. If you're from the South and just have to get there right now, here is their address: One Princeway Bldg. BF Resort Drive BFRV. Check out the image below for their current 5 + 1 promo! This is their second branch and I hear that it's bigger. 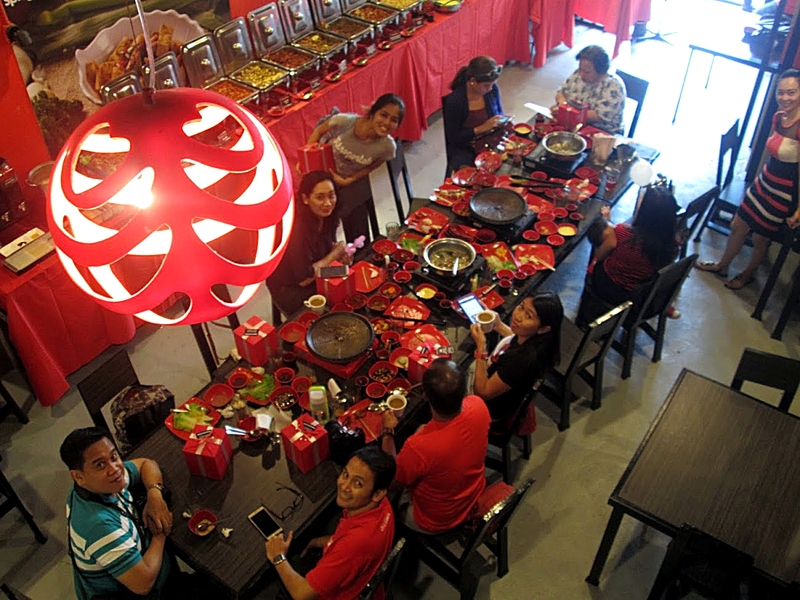 The place could use more space considering that they have so many loyal customers and the numbers are increasing. Ergo, there's nothing to say but WOW! All that comes with affordable price! I am definitely coming back for more. And if you're wondering what Sigsaga means, it's Superb in Korean!